I have been in the ICT/IT since graduating 11 years ago. I have worked in networking roles in the ISP and enterprise business spaces. 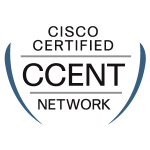 I have experience in designing, implementing and managing a broad range of network infrastructures.Currently I am one of the network engineers, based in the UK, looking after an International hosting companies global WAN network. The Routing Loop is a scratch pad for me to keep track of all the little projects that I carry out. 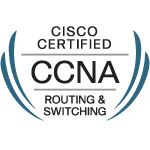 I will also be posting details on my studies for CCNA and beyond.